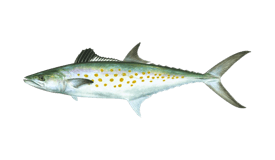 Outer Banks inshore fishing is diverse, everywhere, and is worth your while. Trust not just us, but numerous fishermen who head there throughout the year. If you have a limited time, or are bringing along your little ones, OBX still have a lot to offer near the coast line. This web of interconnected sounds, spared of swelled waters, winds and fogs, lets you use various techniques in hope of landing a juicy table fare. Inshore, sometimes even a half day trip is enough to reach the limits. 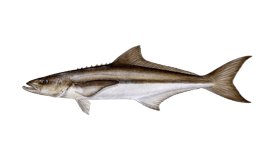 Speckled Trout, Redfish, Flounder, Striped Bass, Black Drum, Spanish Mackerel, Bluefish, Tarpon, Cobia... There are no choppy seas around here, and the landscape is beautiful. It is not uncommon to hit the inshore slam, and get Redfish, Specks, Flounder, and Black Drum on a single trip. Just because they’re inshore, these fish are no less feisty. You will need to present the lure right or the fish will quickly crush your hopes of landing them. 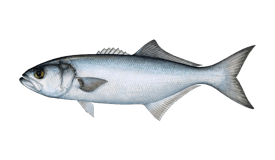 If you’re a novice fisherman, there are many things to bear in mind. 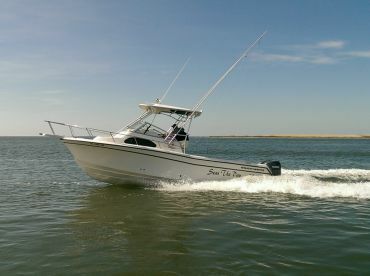 The safest option to land a ‘slam’ is to hire a charter and let a local captain show you around. You can use the fly to entice Tarpon, choose live bait (mullet and co.), or go trolling with spoons. 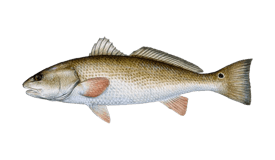 Another exciting thing is the Red Drum run that takes place in spring and fall. Artificial lures work well with Speckled Trout. 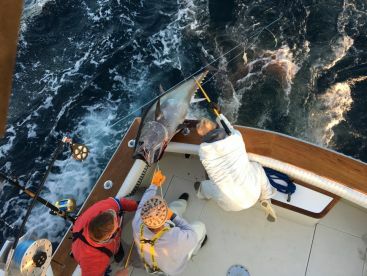 You will want to check out the Pamlico Sound and the Albemarle Sound to get the biggest specimens of these inshore waters. Although some months are hit and miss, the action takes place year round. We went out for a 4 hour inshore trip on my birthday. We all enjoyed ourselves and everybody got to reel in a few fish! I guess we were lucky compared to some of the other charters. Drew, the first mate was awesome, laid back but johnny on the spot! It was nice to have someone else do the work. Captain James was very personable. Overall great 4 hours! "Skunked, but a beautiful day to be on the water. " 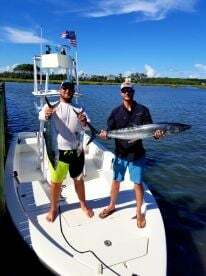 My father-in-law and I went out on the 6 hour inshore trip today. We had a handful of bites, but ended up with an empty box. Captain Mark and his mate Chip did everything they could to put us on fish, but the fishing gods just weren’t cooperating today. I’d recommended this crew to any that come to find fish. Very knowledgeable and willing to go the extra mile. Decided to take our family and a couple of friends on a sound side inshore trip. This is perfect for anyone. The crew was very patient and fun to fish with. Would recommend to anyone looking for a laidback good time fishing.